Champagnat adds a new chapter to the story of Marist College Bendigo, creating high-quality environments for senior learners. The centre is designed to nurture independence and student ownership over learning, aligning the physical environment with the school's learning approach. St Michael’s Treehouse is an embodiment of the school’s learning and teaching philosophy. Throughout the design process Y2 Architects engaged with the school being mindful of its strategic intent, vision and educational philosophy. 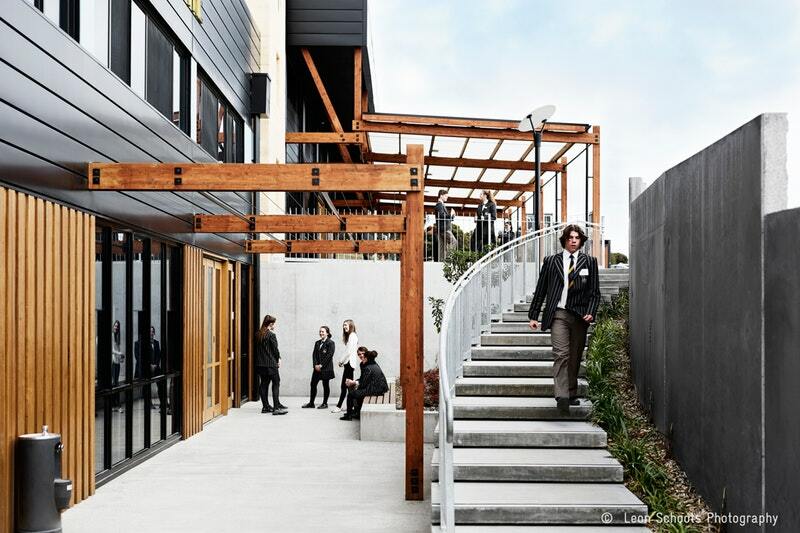 Melba College is bringing the college’s junior and secondary campuses together on one site – providing state-of-the-art facilities for 1,100 students. Director, Matthew Dwyer wins the Architectural Services Award 2017. Award presented by Emma Telfer of Open House Melbourne. Photography by Port Melbourne Photography. St. Michael’s is a Catholic Primary School and Parish located in Ashburton. The Master Plan for St. Michael’s was prepared as a result of significant review of the needs and planning by the Parish Community, comprising the Parish as a place of worship, the Parish as place for education and the Parish as a community. Champagnat adds a new chapter to the story of Marist College Bendigo, creating high-quality environments for senior learners. The centre is designed to nurture independence and student ownership over learning, aligning the physical environment with the school’s learning approach. Y2 Architecture is proud to announce that our Fourviere Centre at Assumption College Kilmore is a finalist in the Dulux Colour Awards. Well done to all involved, it’s a great result for the college and Y2. Y2 Architecture did very well at the 2016 Association for Learning Environments Australasian Conference, picking up wins for both the Montangne Centre at Marist college Bendigo and Ulumbarra Theatre. Additionally Ulumbarra won the Peoples choice award at the Gala Dinner. Well done to the whole team. Congratulations to the Y2 team for their win at the Victorian Chapter CEFPI awards. 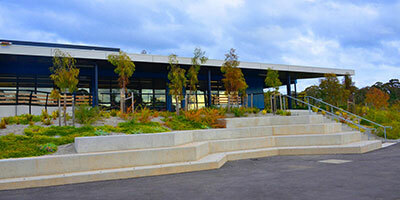 Deakin Trade Training Centre Mildura was a joint winner for Outstanding School Facilities. Congrat’s to the team at Y2 for our entries into the Victorian AIA awards. The Montagne Centre at Marist College Bendigo has been shortlisted for its sustainable architecture and Ulumbarra Theatre is in the running for the Regional Prize. Fantastic result all round, we are now looking forward to the Award’s Presentation Dinner at the end of June. Double wins for Y2 architecture at the Australian Property Institute Awards, taking out the honours for the Heritage Property award with Ulumbarra Theatre and The Environmental Development Awards for the Holistic Water Management System at Marist College Bendigo. Congrat’s to everyone involved. Well done to the team at Y2 for their wining entry into the Australian Timber Design Awards Sustainability category. The Montagne Centre Project utilises Reclaimed telegraph poles, recycled timbers, exposed Gunlam Timber trusses and local sustainably sourced timber cladding. The Montagne centre and Ulumbarra Theatre joined an impressive line-up of projects at the Victorian Exhibition of Award entries for the Australian Institute of Architects.